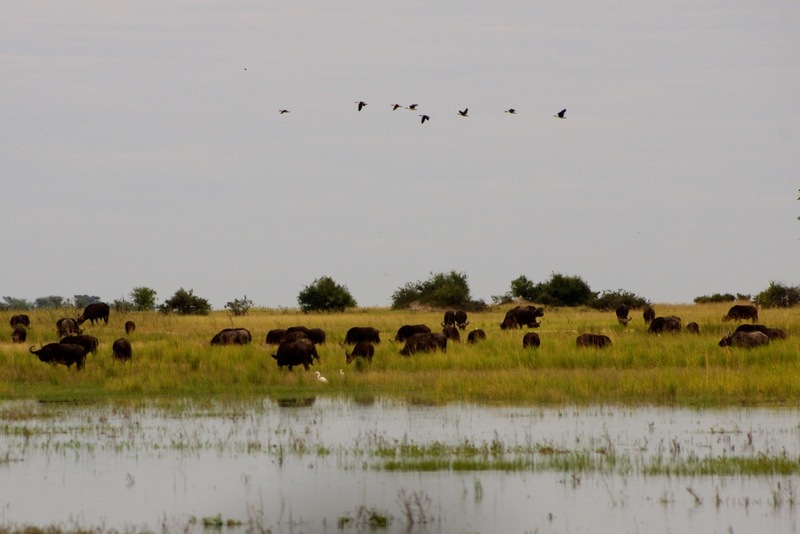 Here is set 2 from Africa 2012, all from Chobe National Park in Botswana. 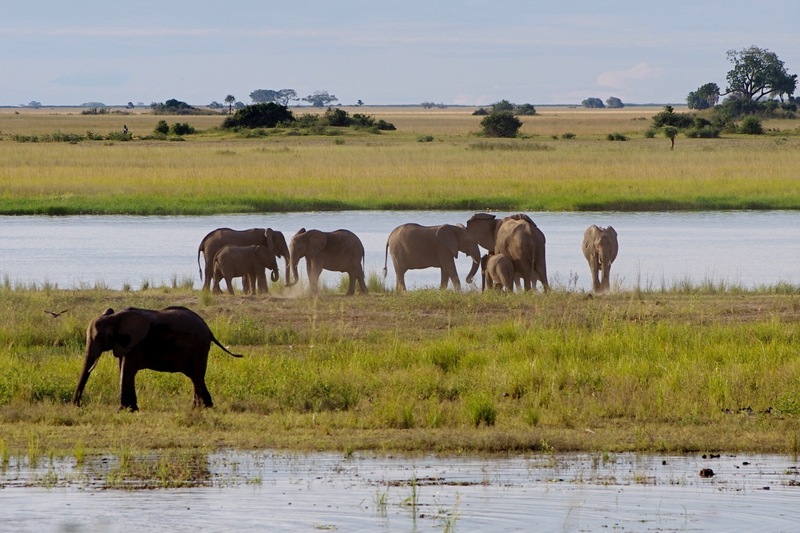 Chobe has, I believe, the largest surviving population of bush elephants (Loxodonta africana) and we saw hundreds, some quite close to our safari vehicles. 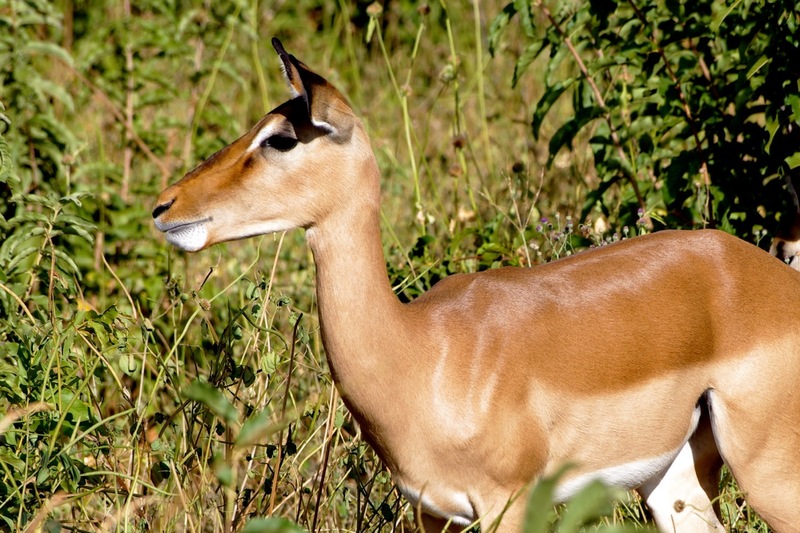 The impala (Aepyceros melampus) is the most common antelope in this part of Africa. 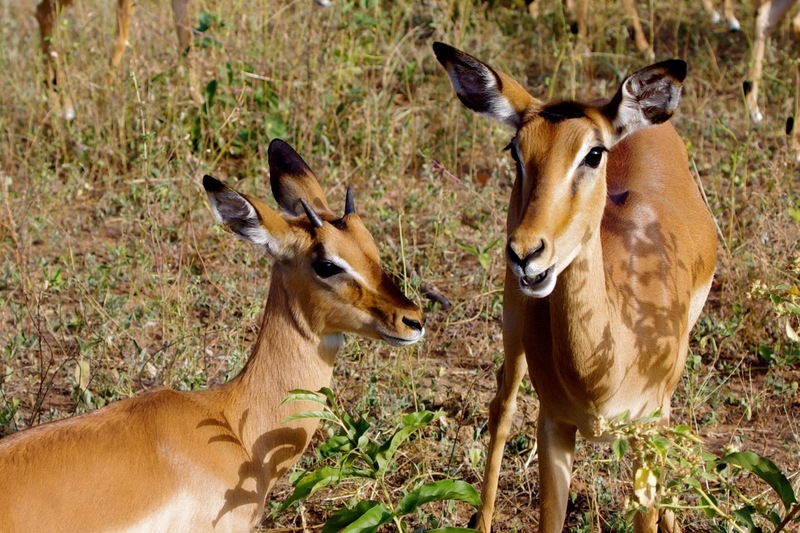 Here are a female and another with a young male (small horns), probably mother and son. When he approaches maturity, the dominant male will drive him away. 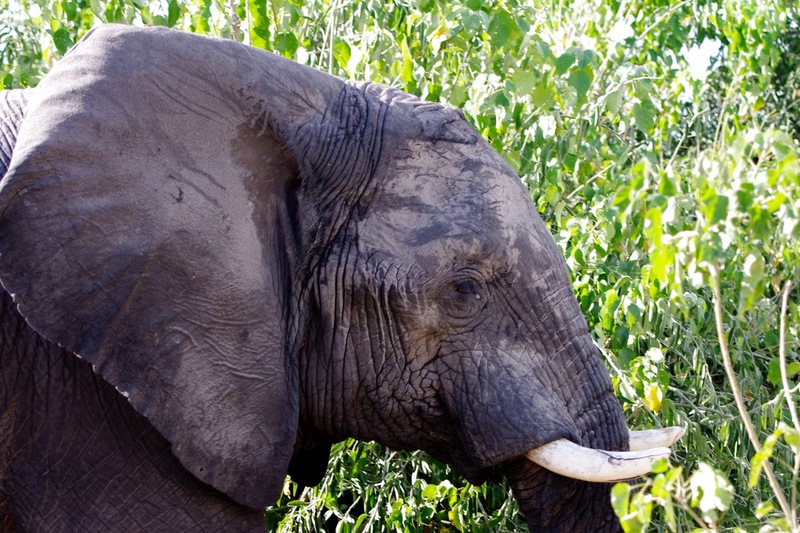 This is a typical elephant sighting. There will be more. 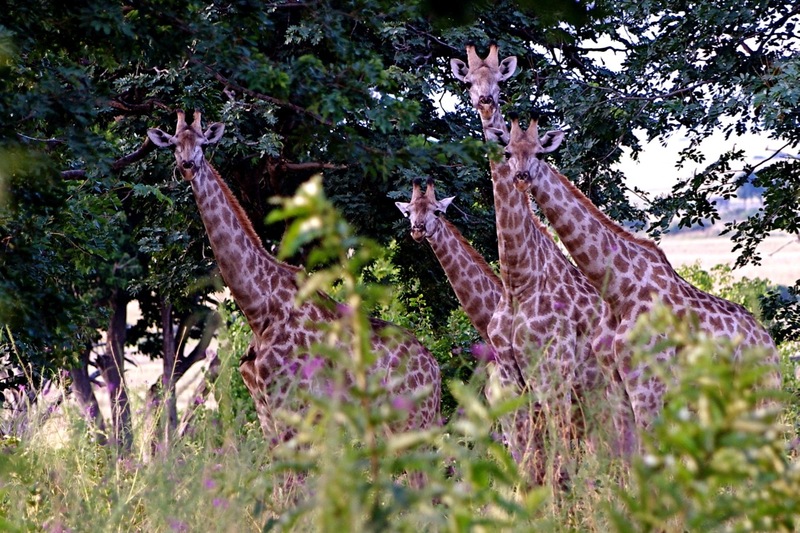 Four giraffes (Giraffa camelopardalis) check us out. I believe these are lilac breasted rollers (Coracias caudatus). 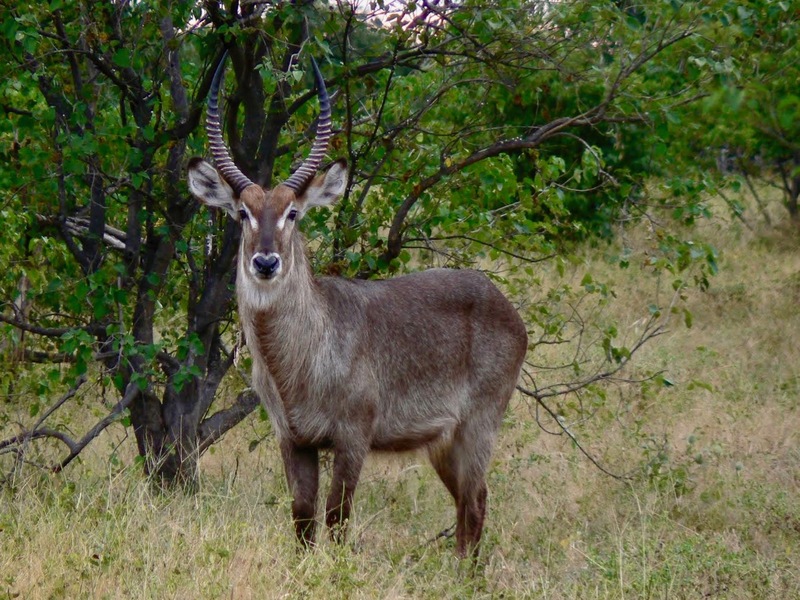 I think the waterbuck (Kobus ellipsiprymnus) is one of the most attractive antelopes. 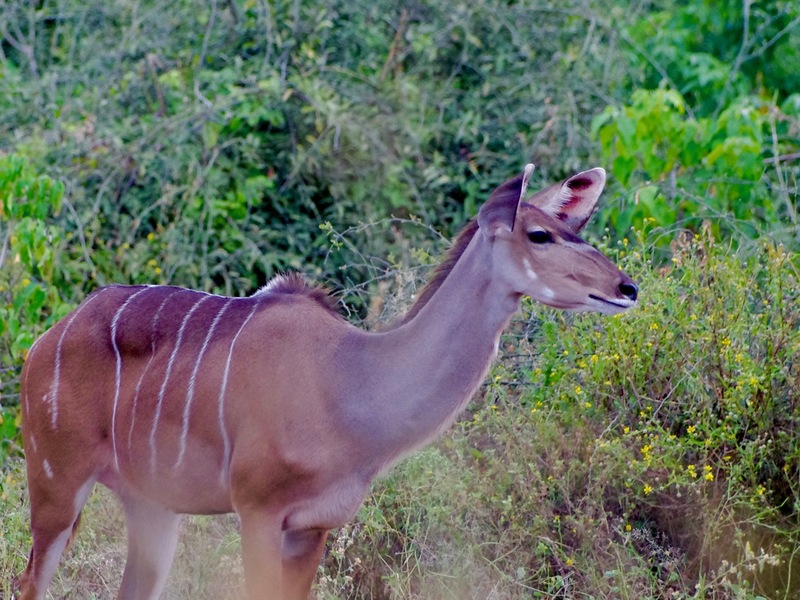 The greater kudu (Tragelaphus strepsiceros) seemed to be the most common larger antelope in the areas we visited. 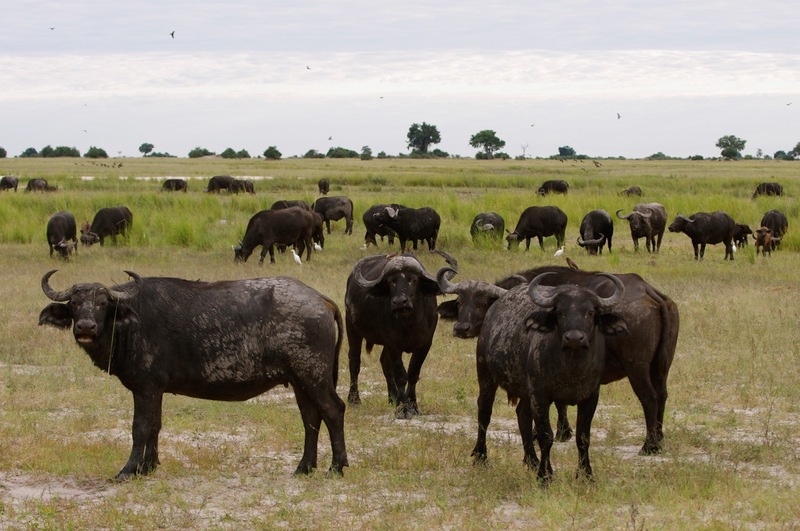 Cape buffalo (Syncerus caffer) were plentiful. In the first shot, some Egyptian geese (Alopochen aegyptiaca) fly overhead. As seen in the second shot, cattle egrets (Bubulcus ibis) often follow grazers to catch insects and such that they stir up. 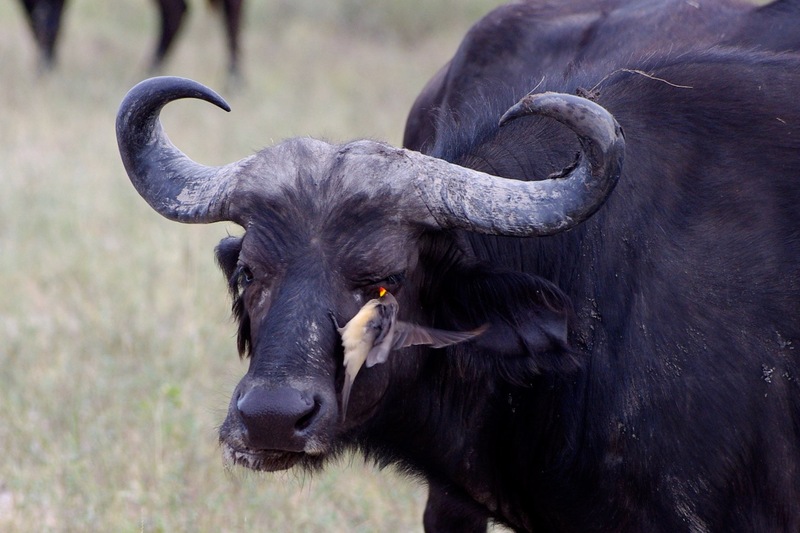 The bull in the third photo has a yellow-billed oxpecker (Buphagus africanus) on his face. These birds pick ticks and insects from large herbivores. I guess that would be considered a mutualistic relationship since both partners benefit. This entry was written by whyevolutionistrue and posted on September 4, 2018 at 8:00 am and filed under birds, mammals, photography. Bookmark the permalink. Follow any comments here with the RSS feed for this post. Both comments and trackbacks are currently closed. 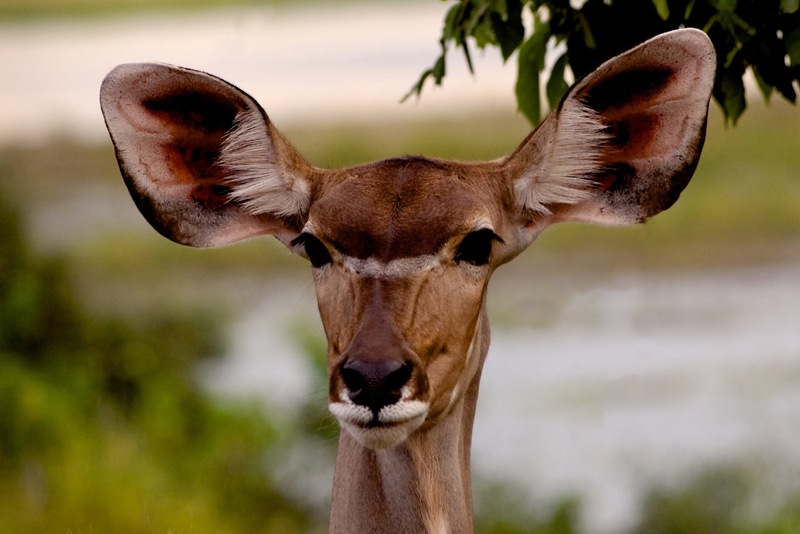 Hard to imagine calmly standing there while an oxpecker messes with my eye. They have a contractual agreement written in DNA. Fabulous work, Joe! 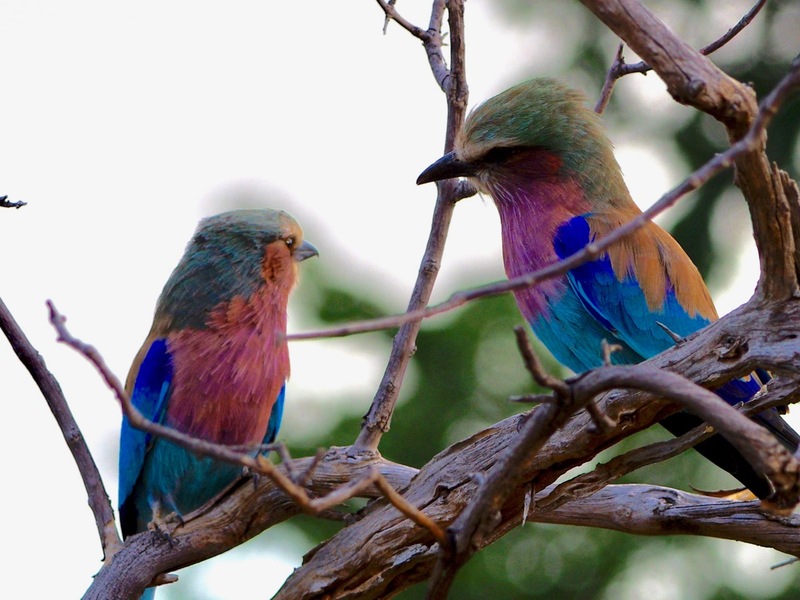 And the little lilac breasted rollers with those incredible colours…. wow!